OCTOBER 2: Dr. John Freudenstein, a professor from Ohio State University will present the talk...Beauty and the Beast: Lessons from the study of orchids on Wednesday, October 2 at 7 PM at St. Vincent College's Fred Rogers Center. The presentation is free and no registration is required. OCTOBER 4: Holy Trinity School will be having a Fish Fry on Friday, October 4th from 4-7 PM in the school cafeteria. Eat in or call for take out orders at 724-238-6430. 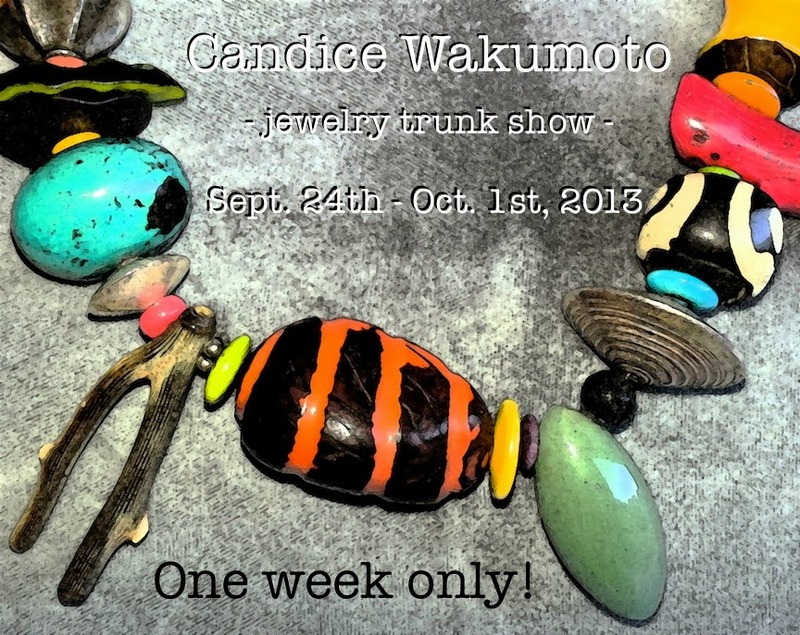 All proceeds benefit Holy Trinity School. OCTOBER 5: The Unitarian Universalist Fellowship of Ligonier Valley will hold their seventh annual Used and Unique Backyard Sale on Saturday, October 5th from 9 AM- 4 PM.The sale includes many good books, antiques, housewares, small appliances, tools, decorative items and much more. All proceeds benefit the Westmoreland Food Bank and Ligonier Valley Food Pantry. OCTOBER 5: Westmoreland Walks...Taking Steps Against Breast Cancer will have their 12th annual walk at Twin Lakes Park on Saturday, October 5th beginning at 11 AM. For more information, visit their website ...www.westmorelandwalks.org. OCTOBER 5: It's the Miracles from Maggie 5K Run and Miracle Mile Fun Run on Saturday, October 5th at Antiochian Village. Registration begins at 7:30 AM, a balloon release will be at 8:45 AM and the 5 K start will begin at 9 AM, the Miracle Mile start at 9:30 AM. The run was created in the honor of Maggie Elder, a fifth grader who valiantly battled Ewing's Sarcoma in 2012. All proceeds go to support those battling childhood cancer and for childhood cancer research. Registration can been done on-line at Miracles FromMaggie.org. OCTOBER 11-13 FORT LIGONIER DAYS: It's the largest event in Ligonier all year! A celebration of our town's history with Fort Ligonier. Events, arts and crafts booths, musical entertainment and the Saturday morning parade. 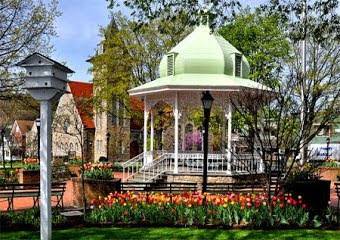 Ligonier's radio statio, The Valley, will be providing music and community news as well as event schedules from the West Side Stage on Main Street. OCTOBER 13: It's the Fort Ligonier Days 5K Run/Walk on Sunday, October 13th. Race time start is 8:30 AM for runners and 8:32 AM for walkers. The race will begin and end at the Ligonier Valley High School. All proceeds will benefit Fort Ligonier Days. For more information contact the Chamber of Commerce office at 724-238-4200. OCTOBER 19-30: The Ligonier Chamber of Commerce is sponsoring their annual Scarecrow Contest from October 19th through the 30th. The entry fee is $20.00 and applications are available at the Chamber office. THROUGH JANUARY 11: Artists in Our Midst: Art in Common Annual Juried Exhibition will be featured at the Southern Allegheny Museum of the Arts September 13th through January 11th. The exhibit displays the work of local and regional artists. Over the last 200 years, thousands of stagecoaches and millions of automobiles have passed by the Johnston House located near Kingston Dam in Unity Township. Who built the massive stone structure? How was it used through the years? What were some of the early political discussions that occurred in the parlor? Was there one kitchen or two, and where are they now? Who were these Scots and why was their clan heritage so important to them? What are some of the architectural details of the building? Is it true the front door was once the back door? Why are the ceilings so high, and the doorways so low? On Sunday, October 13, 2013, the Lincoln Highway Heritage Corridor is hosting a program by the Johnston House descendants. Because of the great interest in this historic structure and the people who lived here, two sessions (each accommodating 32) will be conducted at 1 p.m. and 4 p.m. Cost is $10 each, which includes tour of museum and fall refreshments. Pre-registration is necessary and can be completed online at www.LHHC.org or by calling 724-879-4241; 3435 State Route 30 East, Latrobe, PA 15650. The nonprofit Lincoln Highway Heritage Corridor purchased the historic structure on November 11, 2011 and created the Lincoln Highway Experience museum, which tells the story of America’s first coast-to-coast highway, which is celebrating its 100th anniversary this year. 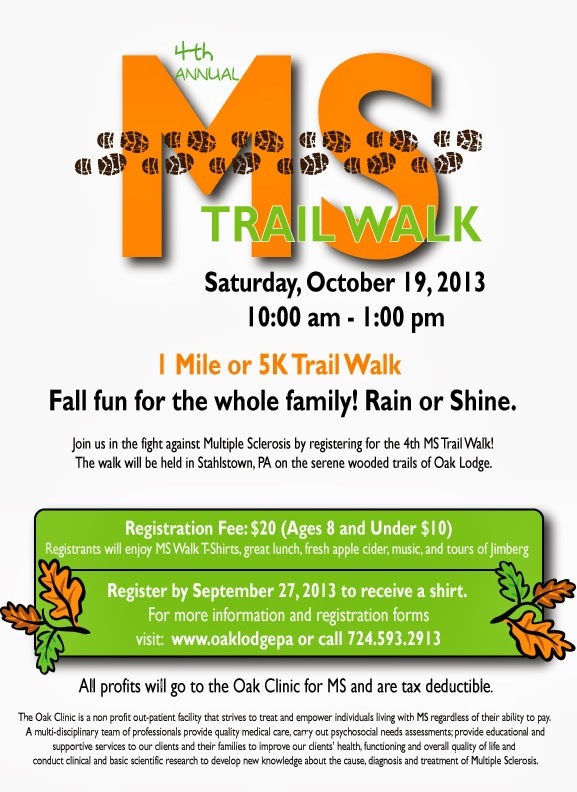 Register for the 2013 MS Trail Walk at Oak Lodge located in Stahlstown, Pennsylvania! We are watching the playing out of employers reactions to the law. Lack of hiring, reducing staff, switching to part time or temporary workers are all reactions to the effort by the Nanny State to control the market for health insurance. Watch for the next wave of unintended consequences as individuals get their heads around how the system will work. Will people ask employers to reduce their salaries or hours so they can qualify for subsidies? Will couples divorce to qualify? Undoubtedly, yes and yes are the answers to those questions. Try to control humanity and humans will figure out a way to game the system to their advantage starting with the politically elite or well connected getting a free pass out of Obamacare. Under the Act, if workers have affordable single-family coverage from an employer — coverage that by law workers are obligated to accept — their family members will not be eligible for premium subsidies on the exchanges. This can make the cost of insurance for some low- or middle-income families unaffordable. But if they divorce, they get the subsidy. Without subsidies, low-income families will not be able to afford to buy insurance on the state exchanges. The Internal Revenue Service estimates that family plans will cost $20,000 (in after-tax dollars) a year by 2016. Anyone under 400% of the poverty line, currently $94,000 for a family of four, qualifies for a subsidy — unless a family member has employer-provided insurance. In a 2011 National Bureau of Economic Research working paper , Cornell Universityprofessor Richard Burkhauser, Indiana University professor Kosali Simon, and Cornell PhD candidate Sean Lyons showed that in 2014, when the law will take full effect, 13 million low-income Americans may be unable to get subsidized health insurance through new state health care exchanges because one family member has employer-provided coverage for that person only. Perversely, the only way for other family members to get subsidized coverage would be for the spouses to get divorced. Then the spouse without coverage and the children could get coverage on the exchange. "Amid the ongoing budget battle and before the Republican-controlled House of Representatives voted once again to block funding for Obamacare overnight, the House Rules Committee slipped in a new provision to their stopgap proposal that would give U.S. employers permission to "opt out" of providing preventive care to their female employees, including contraceptives. Despite the futility of the gesture much less the ridiculousness of its context—the House approved the bill, along party lines, knowing full well it will never pass in the Senate and therefore assuring a government shutdown this week—the move was slammed by women advocacy groups and Democratic lawmakers. "Once again House Republicans have found a way to mount an ideological attack on women's health as the clock ticks down on a crisis they created," Sen. Patty Murray (D-Wash.) said in a statement Saturday night. "This is part of the right-wing playbook that's going nowhere in the Senate. The truly unconscionable thing is that Republicans would try to rob women of access to health care while holding our economy hostage." According to the Huffington Post, Planned Parenthood's executive vice president Dawn Laguens called the move "desperate, misguided, and extreme." " The country wants Congress to focus on jobs and the economy, not on pushing an extreme agenda against birth control." Hierarchy must be preserved...control must be maintained. Frightening people, truly frightening. "fracking" -- for natural gas. Note: Dr. Ingraffea's research for over 30 years has involved fracture mechanics - the very thing that allows for fracking - and he maintains this is a highly faulty process that needs more work before waterways and the air are subjected to the failures documented by the gas industry's own experience....failures that unwitting landowners are then the victims of. ...a new book by Corey Robin's "The Reactionary Mind"
Historically, the conservative has sought to forestall the march of democracy in both the public and the private spheres, on the assumption that advances in the one necessarily spur advances in the other. Still, the more profound and prophetic stance on the right has been to cede the field of the public, if he must, but stand fast in the private. Allow men and women to become democratic citizens of the state; make sure they remain feudal subjects in the family, the factory, and the field." He says investigative journalism in the US is being killed by the crisis of confidence, lack of resources and a misguided notion of what the job entails. Hersh exposed the My Lai massacre in Vietnam, and got the Abu Ghraib pictures of American soldiers brutalising Iraqi prisoners. Seymour Hersh has got some extreme ideas on how to fix journalism – close down the news bureaus of NBC and ABC, sack 90% of editors in publishing and get back to the fundamental job of journalists which, he says, is to be an outsider. 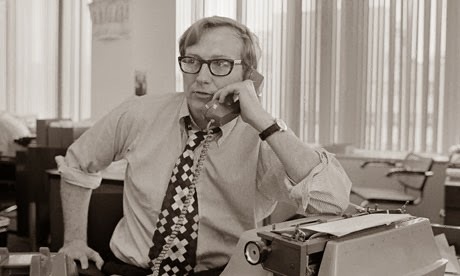 It doesn't take much to fire up Hersh, the investigative journalist who has been the nemesis of US presidents since the 1960s and who was once described by the Republican party as "the closest thing American journalism has to a terrorist". He is angry about the timidity of journalists in America, their failure to challenge the White House and be an unpopular messenger of truth. Don't even get him started on the New York Times which, he says, spends "so much more time carrying water for Obama than I ever thought they would" – or the death of Osama bin Laden. "Nothing's been done about that story, it's one big lie, not one word of it is true," he says of the dramatic US Navy Seals raid in 2011. Hersh is writing a book about national security and has devoted a chapter to the bin Laden killing. He says a recent report put out by an "independent" Pakistani commission about life in the Abottabad compound in which Bin Laden was holed up would not stand up to scrutiny. "The Pakistanis put out a report, don't get me going on it. Let's put it this way, it was done with considerable American input. It's a bulls*#t report," he says hinting of revelations to come in his book." UU First Friday Series resumes with Molly Rush. Also, their annual fundraiser for the food bank is on Saturday. Lots of good stuff! We have two events upcoming that may be of interest to your readers. First Friday, on October 4th at 7:30 PM. The Thomas Merton Center is an non-profit grassroots organization in Pittsburgh whose mission is to educate, raise awareness and to ask the moral questions that surround issues of social justice, poverty, workers' rights, racial discrimination, environmental and economic justice, peace and nonviolence. Tough Teachers' students finish first - how to teach for grit, success, neat stuff. Which teachers do you remember the best? The pusher or the coddler? The cool recent grad? Does it really matter? Maybe the most memorable teacher is the "drill seargant" who pushed you to excel. All you wanted to know about the Famed Constellation in Night Sky This Week (23-29 Sept 2013)-sorry it's late. Need to know why we've got to wait almost 6 more centuries for the "dawning"? It's in there somewhere. And Aquarius is in the Southeast sky - if only I had a southeast view and a cloudless evening sky. Sigh. Enlarging the size of the board by adding two seats, permissible under the commonwealth's Township Code, is an approach we believe can prove fruitful by attracting candidates for supervisor whose education, experiences and skills are different from those typically associated with the traditional supervisor/roadmaster arrangement. In our view, that dual role blurs the distinction between an individual's obligations as a public official and personal considerations relating to that person's employment. Dessert: Apple pastries w/cinnamon sugar. Connections Cafe and Fair Trade Boutique is located on 109 S Market St. Ligonier PA Carry out, reservations, catering service available by calling 724 238 9611. 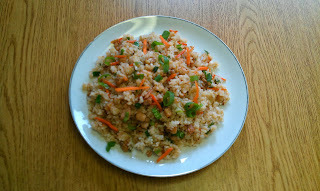 Salads: Curry chicken, French lentil, Cauliflower and pea, Tuna and red bean, Summer corn, Beets, carrots w/ginger. Here at the shop we are getting ready for Homecoming! This bouquet is our special of the week. Just $25.00 with many in stock colors to choose from! "Nation, it's been a few relatively quiet days since the latest gun-fueled all-American bloodshed in Chicago, where a three-year-old got shot in the face, and D.C., where the NRA complained "there weren’t enough good guys with guns." Ergo, it must be time to unveil TrackingPoint's precision-guided firearms, the world's first smart gun, which democratizes accuracy" and hones "the art of sniping" with its own on-board ballistic computer system, integrating "microelectronics, microprocessors, and networking technology into a small arms weapons system" to put jet fighter launch-and-launch technology in your hands" - AND allow you to upload videos for your friends on social media. Shared killing! And, as Colbert notes, "skill-free killing!" All for $17,000! Remarkably, the company argues that creating a firearm with such unprecedented precision will "usher in a new age of ethical killing" because it will foster introspection. They also swear the moon is made of cheese. Others wryly take their premise a tad further, drawing a timely analogy and urging us to demand the right to stand your ground with decisive lethal force - of chemical weapons - because everyone knows chemical weapons don't kill people, people kill people." "$6000.... . That's over and above our payments to the big companies for energy and food and housing and health care and all our tech devices. It's $6,000 that no family would have to pay if we truly lived in a competitive but well-regulated free-market economy. Overall, American families are paying an annual $6,000 subsidy to corporations that have doubled their profits and cut their taxes in half in ten years while cutting 2.9 million jobs in the U.S. and adding almost as many jobs overseas. This is more than an insult. It's a devastating attack on the livelihoods of tens of millions of American families. And Congress just lets it happen." Loyalhanna Watershed Association put a plan into action recently to improve and protect a 123-acre property formerly known as the McConnaughey Farm at the west end of Ligonier above the country market. The association plans to convert an 1880s-era farmhouse and barn on the property. A portion of the property will be leased to local farmers while the remainder of the property will be returned to a natural wetland habitat. The project will improve the health of the farm's waterways by creating a buffer to prevent the flow of pollutants into the Loyalhanna Creek. It will also create better pastures for tenant farmer Kim Miller to graze his Devon breed beef cattle on the property. Millions of people around the world were outraged when the bill passed originally and removing the Monsanto Protection Act from the current bill is a sign that the food movement has arrived politically. The American people are tired of Monsanto’s lies and the manipulation of our political process and we’re not backing down.” - Dave Murphy, Food Democracy Now! "An amendment dubbed the "Monsanto Protection Act," which currently allows large agriculture and biotech corporations to ignore court orders involving the safety of genetically modified seeds, has been stripped from Senate's spending bill that could be voted on as early as Wednesday afternoon. Following an organized campaign against the provision in recent months, its removal was being cheered by food safety and environmental activists as a victory. The Monsanto Protection Act, otherwise known as the Farmer Assurance Provision rider, was wedged into a stop-gap budget bill that passed earlier this year and signed into law by President Obama in March. 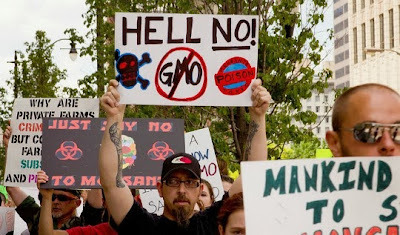 The rider was the source of outrage by many and quickly dubbed a form of "corporate welfare" that benefited large biotechnology corporations firms such as Monsanto and Syngenta as it barred US federal courts from being able to prevent the sale or planting of GMO crops even if they failed to meet federal safety standards or were discovered to be harmful to humans or the environment. In opposition to the law's passage, several online campaigns as well as street protests followed." Sandwich: Grilled cheddar cheese with apples and cranberry honey mustard spread. Salad: Chickpea w/feta and olives, Red bean and tuna, French potato, Beet and carrots w/ginger, Curry chicken, Cauliflower, French lentil, Summer corn. Desserts: Apricot Scones, Apple pumpkin muffins, Chocolate fudge almond tart and White chocolate fresh raspberry tart. Connections Cafe and Fair Trade Gift Boutique is located on 109 S Market Street Ligonier, PA Reservations and carry out available by calling 724 238 9611. Check Out the menu below and join us for dinner tonight! Ligonier's planning commission voted to report to council that it does not recommend approving two zoning ordinance amendments related to the Ligonier Valley YMCA's expansion. The amendments in question include a proposed ordinance to amend the zoning classification for the two properties owned by the YMCA at tax parcel numbers 16-01-15-0-163 and 16-01-15-0-164 from R-2 to C-2 and a proposed ordinance to allow surface parking lots as a conditional use in the C-2 zoning district. This boy has been reunited with his owners! another lovely September brought to you by the "religion of peace"
Chillingly, eyewitnesses have told of how the gunmen selected many of their victims deliberately - forcing people to prove whether or not they were Muslims by reciting Islamic prayers or by answering questions from the Qoran. They then executed those found to be non-Muslims, and allowed Muslim shoppers to escape. Other escapees said that the terrorists mutilated the bodies of their dead victims, chopping off hands and even burning their faces to mask their identities. But there are also stories of remarkable bravery. One such story is that of four year-old Elliot Prior from Berkshire in Great Britain who, in an astonishing show of courage, confronted and even chastised one of the gunmen - and escaped with his life. According to the Daily Mail, Elliot had been hiding with his sister Amelie and their mother Amber under a table in a grocery store, with Amber sheltering her children under her own body for an hour and a half, when they were discovered by the terrorists, one of whom shot her in the thigh. But when the terrorists asked if there were any children still alive in the store, Amber stood up and answered in the affirmative, in the hope that they would be spared. It was at that point that little Elliot confronted the terrorists, telling them that they were "bad men." Bizarrely, upon learning that Amber was of French origin, the gunmen began to plead with her for forgiveness, insisting that Islam "is not a bad religion" and urging her to convert. "He told me I had to change my religion to Islam and said 'do you forgive us? Do you forgive us? '," she told The Independent newspaper. "Naturally, I was going to say whatever they wanted and they let us go." A 22-year-old Ligonier Township man was killed in a one-vehicle accident in Unity early Sunday morning. Zachary Z. Fazli was pronounced dead at 5 a.m., according to Westmoreland County Coroner Kenneth A. Bacha. The crash happened around 2 a.m. on Route 30, about a mile east of the intersection with Route 217, according to state police. 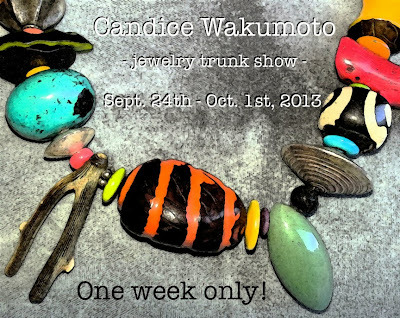 Candice Wakumoto Trunk Show at Allegory Gallery - ONE WEEK ONLY! 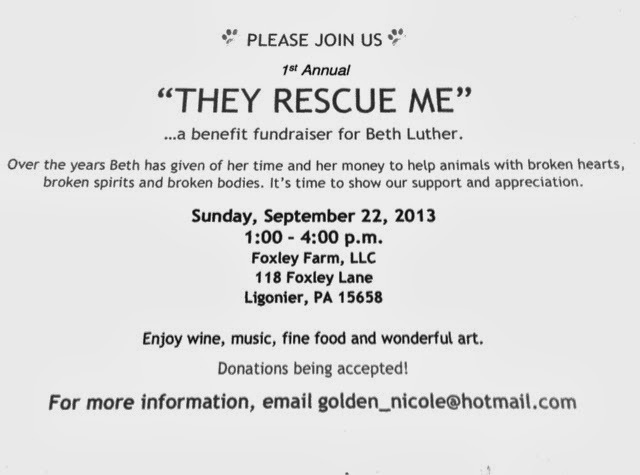 This event will take place this Sunday at Foxley Farms in Ligonier. Just found out that Hunter Valley Sport Horses will hold an Open House during the event from 1:00-3:00. Come meet the horses, learn about services they provide and let the kids enjoy a pony ride for $5.00 or take a little extra time for a riding lesson at $10.00. 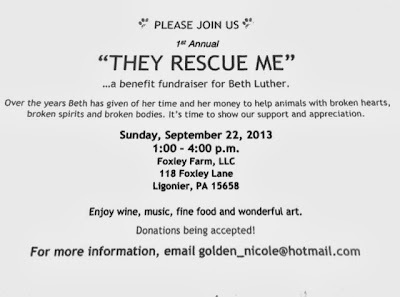 Part if these proceeds will go to SAD Tails of Pa!! Save room in your belly for lunch too! 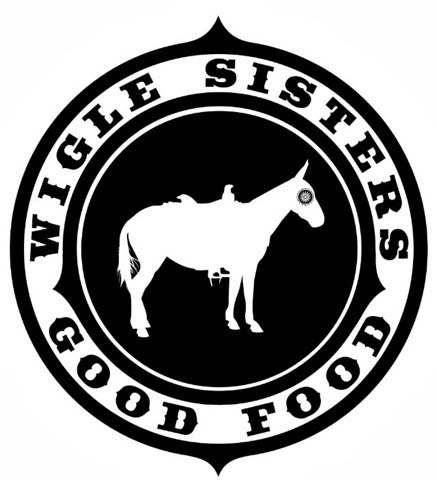 Gourmet BBQ Chicken and Waffles by the Wigle Sisters, Grilled Pizzas by Sharon Detar of Connections Cafe and Mini Cheese Boards, Beignets and Mediterranean dips. Yummy! Also, wine from Glade Pike Winery. You have only two more opportunities to see this spectacular production - today at 2:30 and tomorrow at 2:30. The cast and crew, from the directors, Hannah Kenyon and Ruthie Stewart, on down are all students (well, except for one). Sunday's performance is nearly sold out; there are some seats available for this afternoon's performance. Last night, curtain time was delayed to accommodate the line going out the door and down the street. 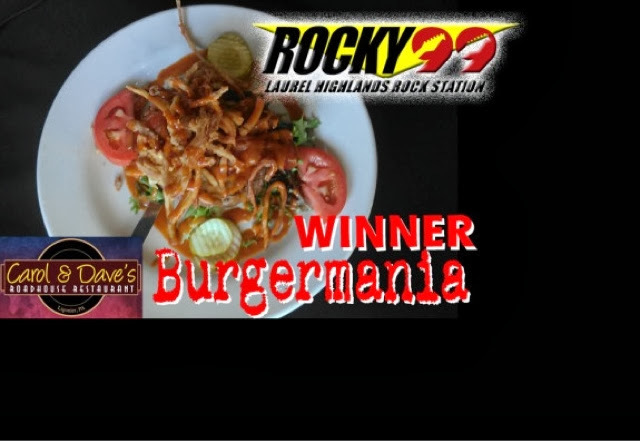 Dave and Carol Cassler received great news this past week following the close of the "Rocky 99" Radio Station BurgerMania Challenge. They rocked the vote in the contest and Won!! 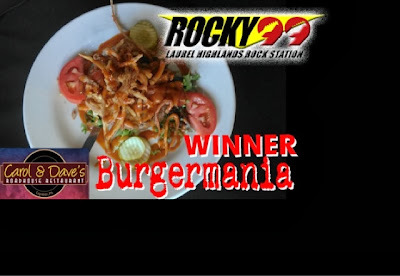 In conjunction with the contest they also celebrated their 10th Anniversary of opening the Roadhouse which is now located at 122 North Market Street - Ligonier, Pa. The new Cooperative Association of Writers (CAW) will hold an information session on Saturday, September 21st at the Ligonier Library. The meeting will be held downstairs at 1 pm. CAW is calling all seasoned writers, new writers, artists and the arts-minded to join us for this meeting. CAW seeks to promote the arts in general and to use the combined efforts of its members to market members’ books. Those already involved in publishing and promoting books know that the practice can be difficult and frustrating. CAW hopes that in joining forces we can meet the challenge together and collectively work to increase our visibility and also promote the arts within our community. The Cooperative’s inaugural members have already established a blog that may be accessed at www.thecawcoop.blogspot.com. Please join CAW on the 21st for conversation, light refreshments, and camaraderie!! "The Environmental Protection Agency announced new regulations for the energy industry on Friday which will limit, for the first time, the amount of carbon that gas- and coal-fired plants can emit into the atmosphere. And though many of the larger environmental groups in the country welcomed the new restrictions, more critical observers of the EPA announcement argue the rules don't go far enough in terms of limiting emissions. Meanwhile the Obama administration, in fact, is preparing to use huge amounts of public money to prop up the U.S. coal industry. Such a scheme, according to one critic, "will make only modest cuts to power plant emissions" at a moment in history when much more dramatic actions are needed. Pushing back against the idea the Obama has somehow initiated a "war against coal"—an argument used by Republicans and Conservatives to blast the new rules and conversely used by groups like NRDC and Sierra to champion them—the Campaign for America's Future Bob Scher asked his readers to take a closer look at the proposal. Citing New York Times reporting which shows the Obama administration plans to support the fossil fuel industry with "as much as $8 billion" in order to help it build the "cleaner" plants the rules will require, Scher concludes that "Obama is not launching a war on coal. He’s bending over backwards to keep coal viable." 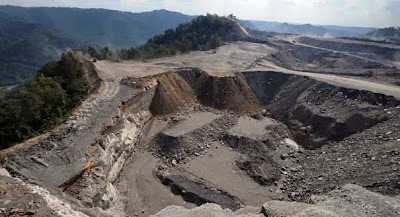 And the Center for Biological Diversity, striking a much more adversarial tone than its larger environmental colleagues, declared the EPA rules and Obama's effort are far too imperfect to adequately address the climate crisis facing the country and the planet. “If we’re really serious about tackling the climate crisis – and morality dictates that we must be – we just have to do more than this,” said Bill Snape, the Center’s senior counsel. “That means a stronger rule for power plants and other serious measures that lead to deep cuts in greenhouse emissions.”"
Vegetable Tostados, Grilled Steak Burritos, Chicken Fajitas, Steamed Tilapia, Tacos de lengue. See you this evening on the porch or in air-conditioned dining rooms. Connections Cafe and Fair Trade Gift Boutique is located on 109 S Market Street Ligonier PA Carry out and reservations by calling 724 238 9611. There has been a group effort to rescue a Momma cat and her 2 kittens from the area around Dollar General. We were able to finally gain the Momma Cat's trust enough to handle her and get her off the streets. She has her forever home... yeah for her! Even though every effort to capture the cat family together was made - it did not happen that way . The kittens are still being offered food and shelter in the origianl feeding spot but they disappeared after that last Mom feeding and have not been seen since. The other kitten is a the most amazing grey striped tiger cat I have seen with the most miniscuel tiny stripes. If ANYONE thinks they have seen the kittens just let us know.. If you can catch the kittens and put them someplace safe for the eve we have foster homes for them.. just let us know. Two recent actions by Governor Corbett and Secretary Abruzzo’s Department of Environmental Protection (“DEP”) show, once again, the DEP’s mettle in protecting the environment and public health and safety, as well as this administration’s continuing commitment to strong action in stewarding responsible development of the Commonwealth’s natural gas resources. First, on August 5, 2013, the DEP revoked the permit of Aquatic Synthesis Unlimited (“ASU”) and announced it will use the company’s $1 million bond to begin cleaning up the Indiana County site, which holds 1 million gallons of shale wastewater and about 5 million tons of contaminated soil. A remediation firm has already been hired to perform the necessary cleanup. ASU showed its inability or lack of intention to comply with the law and the DEP acted properly and decisively in shuttering the facility and commencing the cleanup. Such enforcement actions are very important in assuring responsible development of our natural resources. Cheaters should not be allowed to “gain the system” because that is a “double whammy.” Cheaters are simultaneously stealing a competitive advantage over law-abiding companies who make the investments to operate properly—thus undermining the free market—and they are creating a probable or real danger of environmental harm. 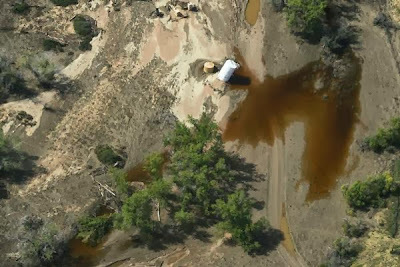 "Over 18,000 gallons of oil have leaked into Colorado's South Platte and St. Vrain Rivers as historic flooding continues to wreak havoc upon the state. One 5,250-gallon spill happened near Milliken, while a second, 13,500-gallon release happened near Platteville. The leaking tanks are owned by Anadarko, which stated on Thursday that "there were no impacts to the environment due to our drilling or hydraulic fracturing activities." In addition to the oil leaks, Noble Energy reported "natural gas releases" from three of its wells, with one of those releases still not contained. The Denver Post reports on Thursday that there are a total of 10 oil and gas releases being monitored in the state, with 8 of the releases classified as "minor." Officials are also warning about sewage and household and industrial chemicals that may be in the floodwaters, posing public health risks. The flooding, which many have linked to climate change, has left 200 people still unaccounted for, six dead, pet and livestock victims, and communities and businesses struggling in the aftermath of the multi-billion dollar disaster."